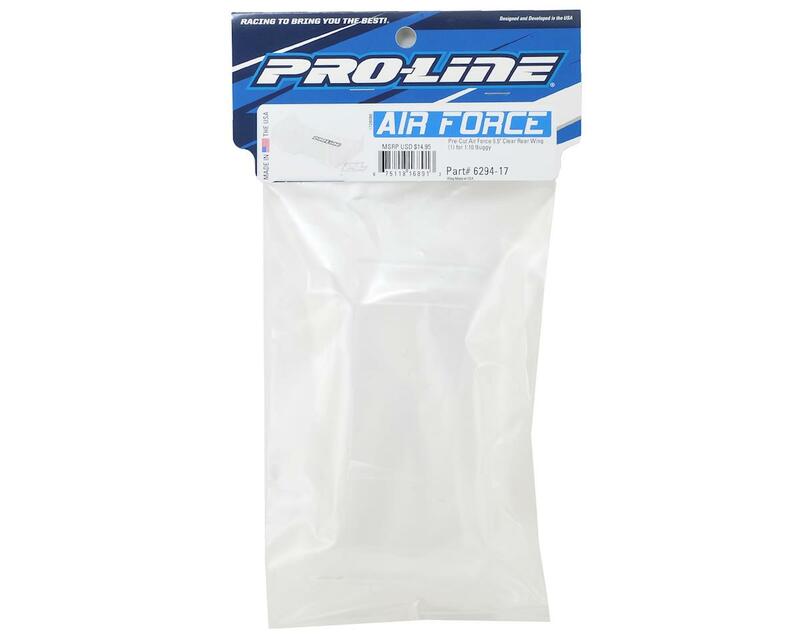 This is the Pro-Line 6.5" Wide Pre-Cut 1/10 Lexan Air Force Wing. The Air Force Wing is designed with the latest in CAD technology to meet extreme performance and durability specifications. 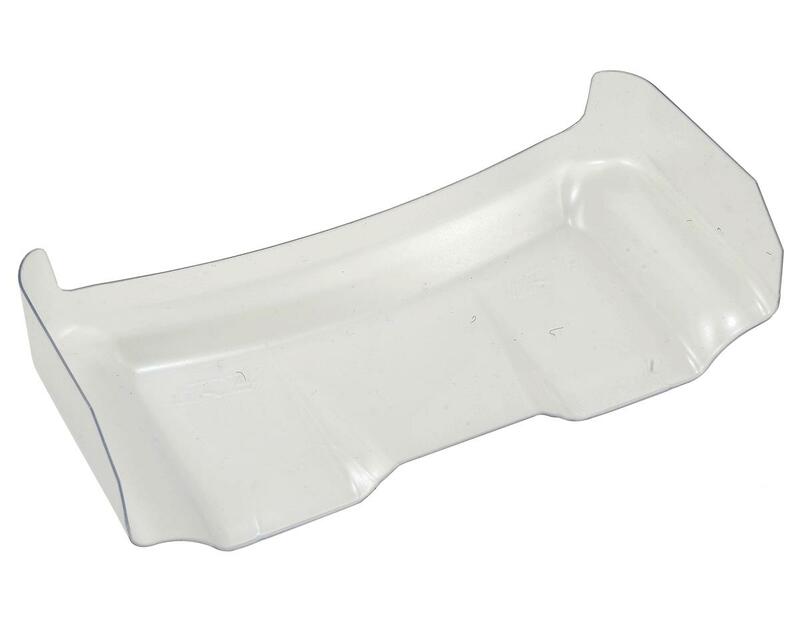 The Air Force wing is made from medium thickness Lexan to get maximum strength while still being lightweight. Huge radius's on the wing corners prevent cracks from starting and also allow air to flow smoothly over the wing for incredible performance. It comes pre-cut and pre-scuffed so all you have to do is mount and go! The cuts are not performed accurately. Not so happy with the finish. Pre-scuffed AND Pre-cut -- AWESOME!!!!! Thickness is about medium (between JC and TLR).